The discussion held by Mr. Alabsi and the Philippines’ delegation concerned the settlement of irregular workers from the Republic. The Philippines pledged to assist their citizens who were hoping to obtain a flexible work permit by covering the cost of the permit’s issuance fees. Another visitation by the Philippine delegation visited the LMRA branch in Sitra, which is dedicated to the issuance of flexible work permits on November 5, 2018. Filipino workers who had walked into the Sitra branch with illegal statuses walked out as regularized workers. The delegation also expressed its admiration and praise for the achievements made by the LMRA and NCCTIPs in regulating expatriate workers and guaranteeing their rights. Arriola stressed that legitimizing employment statuses and the issuance of Flexi work permits are a testament to the innovative solutions that the LMRA and Bahrain continue to provide to preserve and protect the rights of workers in the Kingdom. She expressed hope that neighboring countries would follow suit with a similar initiative to safeguard the rights of both worker and employer. 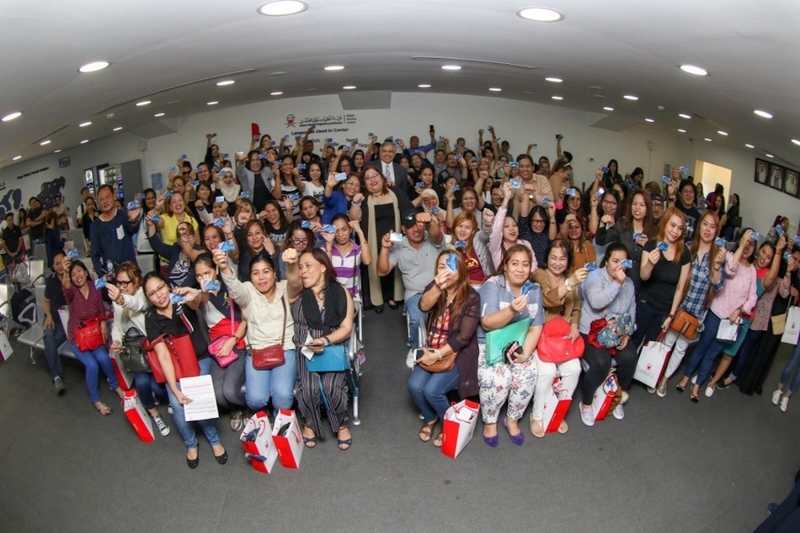 On October 5, the Philippines embassy hosted its community at the Swiss Hotel to discuss all obstacles facing workers in Bahrain. At the event, a question-and-answer session with Mr. Alabsihimself alongside other members of the LMRA allowed for the workers to voice all kinds of queries and concerns. The embassy announced to the many workers in attendance that they intended to cover the financial costs of the Flexi for those looking to regularize their status. Alabsi praised the efforts and attention paid by the government of the Philippines to correct the conditions of its workers in Bahrain, emphasizing that the Flexi permit both preserves labour rights, and deters the potential for exploitation or human trafficking. This entry was posted in Pressroom and tagged Ausama AL Absi, flexi permit, Republic of the Philippines by Labour Market Regulatory Authority. Bookmark the permalink.